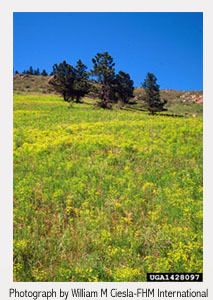 Our first national park, one of the geological wonders of the world, is under attack. Exotic species encroaching this unique habitat are disrupting its fragile ecosystem. 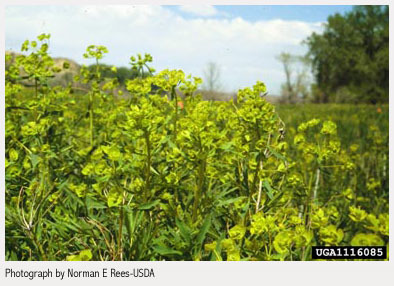 One of the greatest threats to the natural balance of the Park is a weed by the name of leafy spurge. 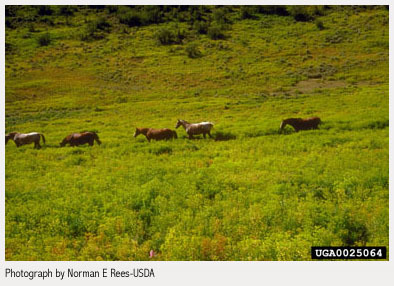 This menace displaces native plants, may alter nutrient cycling, and reduces forage for the buffalo, deer and elk herds for which Yellowstone is famous. 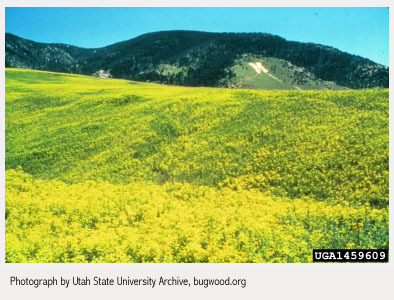 Steve Smart-1949-2010 Bio-control was his passion and protecting the eastern Idaho ecosystem will be his legacy. Our efforts to continue on are dedicated to his memory. 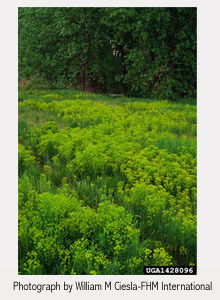 In 2009, leafy spurge occurred primarily outside the Park, but continued to inch closer and closer to the borders of our national treasure. 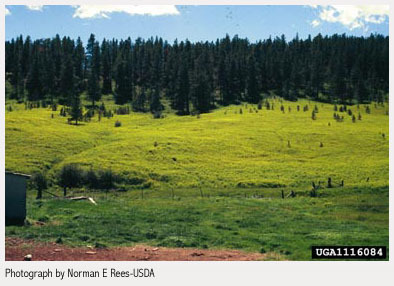 Recognizing the potentially irreversible damage leafy spurge would cause to the Park, the US Forest Service, in conjunction with High Country RC&D, the NRCS, and local land managers, created the Hold the Line Initiative- Keeping Leafy Spurge out of Yellowstone National Park. Though the first season was a great success, it is only the beginning of the battle. Long-term victory at holding the line and protecting our treasured Yellowstone National Park requires everyone’s help. See what YOU can do to get involved.